The Duc Oger Group was founded by Pierre Duc and husband and wife Isabelle Oger in Montmartre, Paris, and they started their business in a short time. For nearly 60 years, they have been dedicated to the best watchmaking technology and quality control, providing watchmakers with the perfect watch. 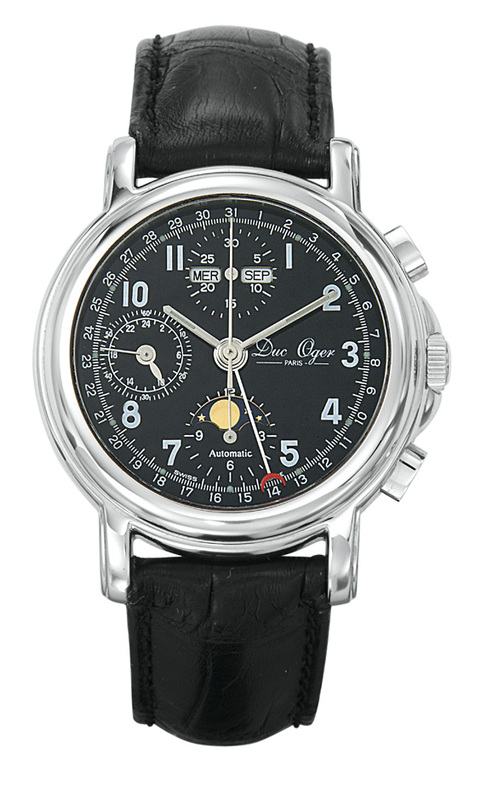 This expertise and long-standing business make the brand value machinery and automatic watches and chronographs a tradition of the Duc Oger Group. With “High Collection” you will ensure a unique and authentic Swiss-made timepiece. The complex features of our watches make us exceptional and prestigious. 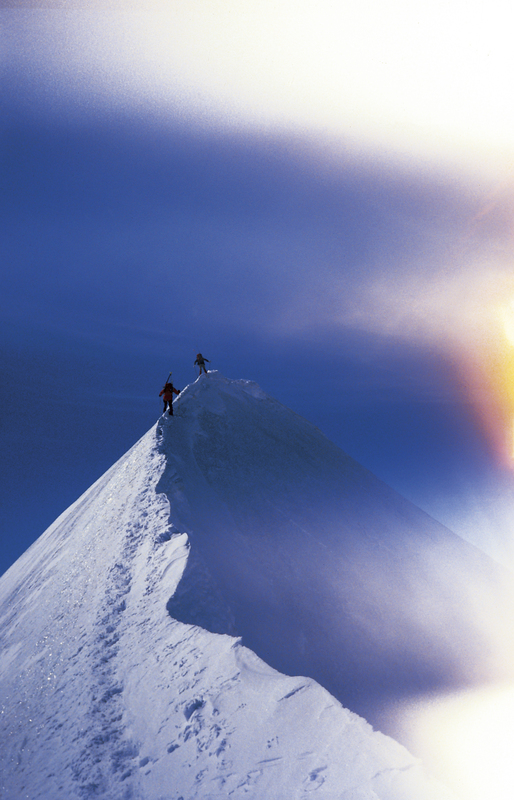 To prove its quality, Duc Oger offers a five-year international guarantee. “Swiss-Made” 18 carat rose gold chronograph, Skeleton, transparent number polished back shell, self-winding mechanical movement, 4 clocks. Sapphire crystal accents the front. 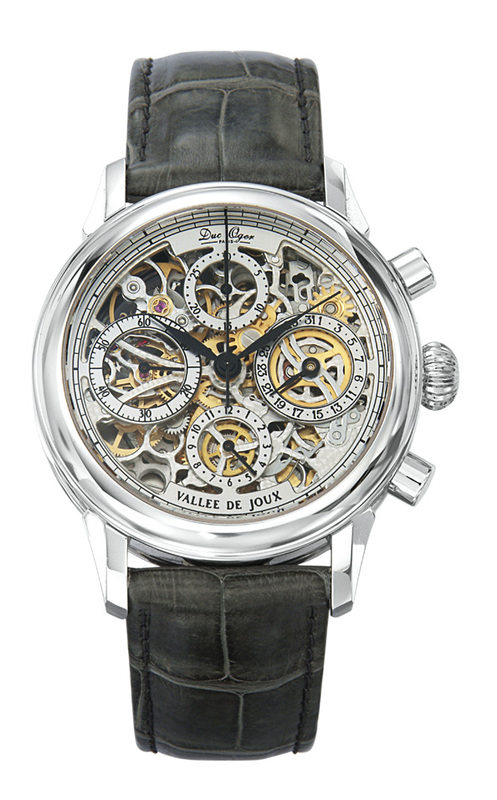 “Swiss-Made” 18 carat white gold chronograph, Skeleton, transparent numbered polished back cover with self-winding mechanical movement, 4 clocks. “Swiss-Made” automatic mechanical chronograph, 3 clocks. ETA Vj 7751 25 ruby movement, 10 micron gold-plated case. 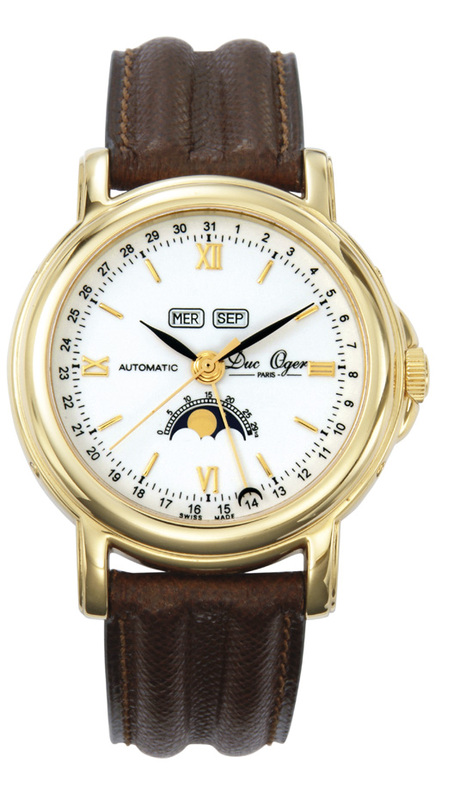 The date indication of the manual, day, month and month indications in the dial. Correct the pusher to quickly change the date at the end of the month. Sapphire crystal lenses accent the front. ETA Vj 7751 25 ruby movement, steel case. 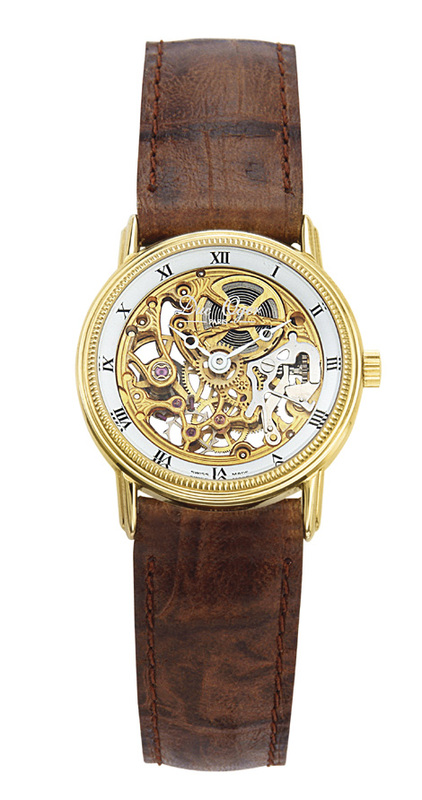 “Swiss-Made” self-winding machine with a 10 micron gold-plated case. Hand strap goat Madras leather strap. 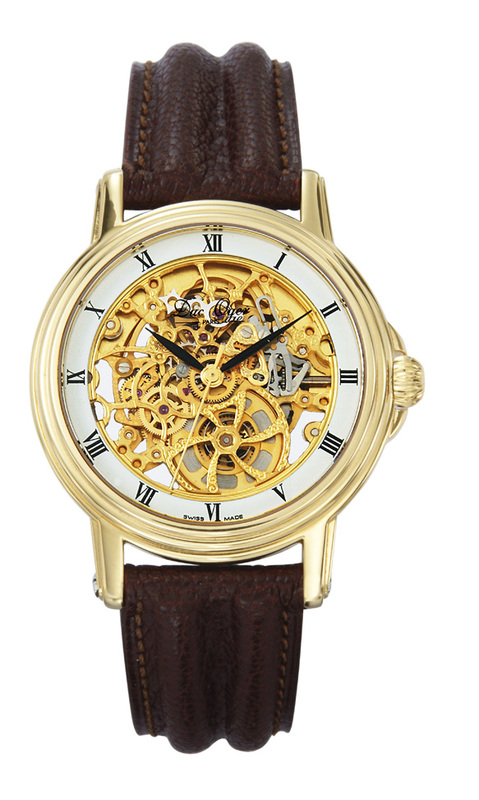 “Made in Switzerland” machine, skeleton, 10 micron gold-plated case. ETA UT 6565 manual enhanced movement. Sapphire crystal on the front and transparent on the back. 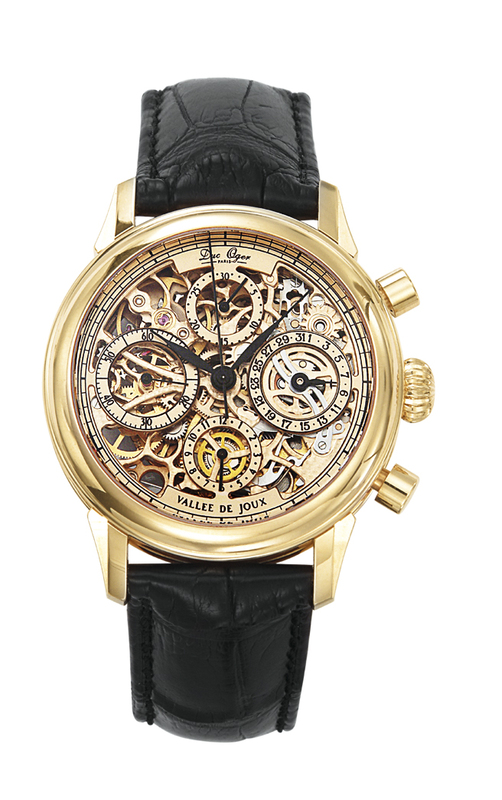 “Swiss-Made” self-winding machine, skeleton, 10 micron gold-plated case. ETA 2892/2 manual enhanced movement. 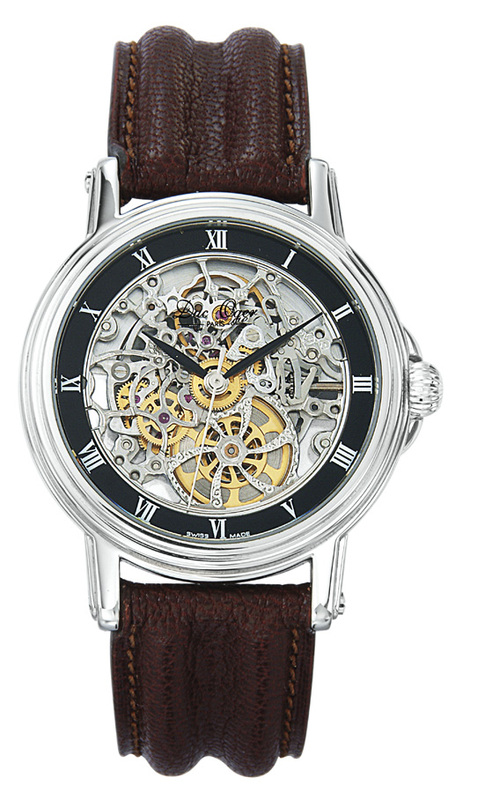 “Swiss-Made” automatic winding machine, skeleton, steel case. 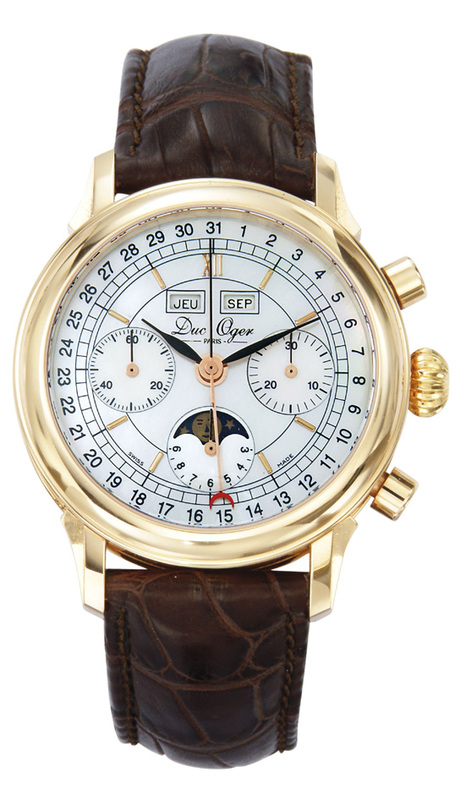 18K rose gold chronograph with numbered polished case, mechanical movement, “Made in Switzerland”, 3 clocks. Vj 13′ in the 1970s. The 88 movement is visible through the transparent case. Sapphire crystal, mother-of-pearl dial and 18-carat rose gold hands accent the front. 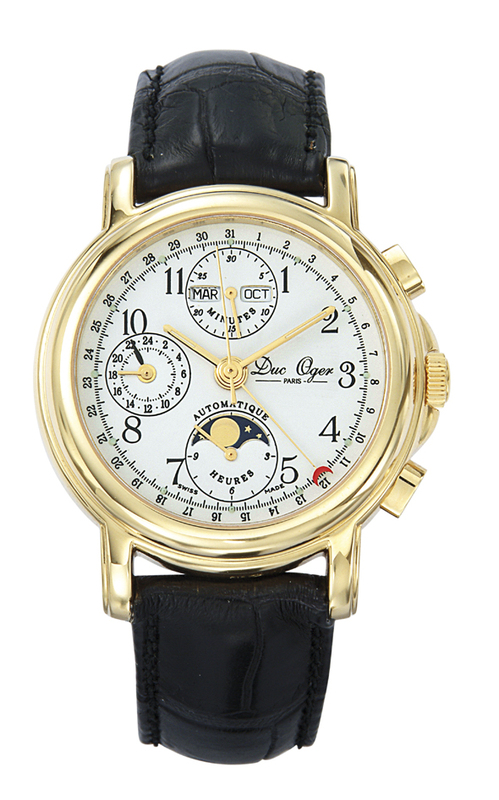 The date/month indication of the dial aperture, as well as the manual, moon phase date indication. Use the pusher to quickly correct the day. This Duc Oger -Paris will be our next achievement. 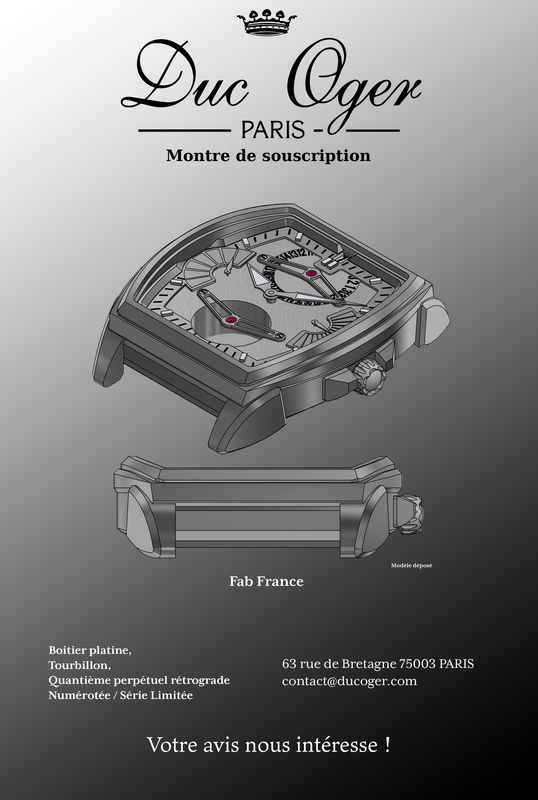 The registered model will be manufactured in limited quantities and each watch will be numbered. Subscriptions are currently being opened to facilitate their complete manufacturing and delivery from design to production in France. It can also be an order to ensure the availability of this special timepiece. The movement with a fixed pivot tourbillon adds a true perpetual calendar day, date and month for a deeper understanding of watchmaking. Overall angle and hand finishing. The surrounding dial is very bright and encourages reading in all situations. The natural rubber strap will ensure maximum comfort for its owner. Get in touch directly on the website. This watch has long been a great prestige for the French. Test yourself ! 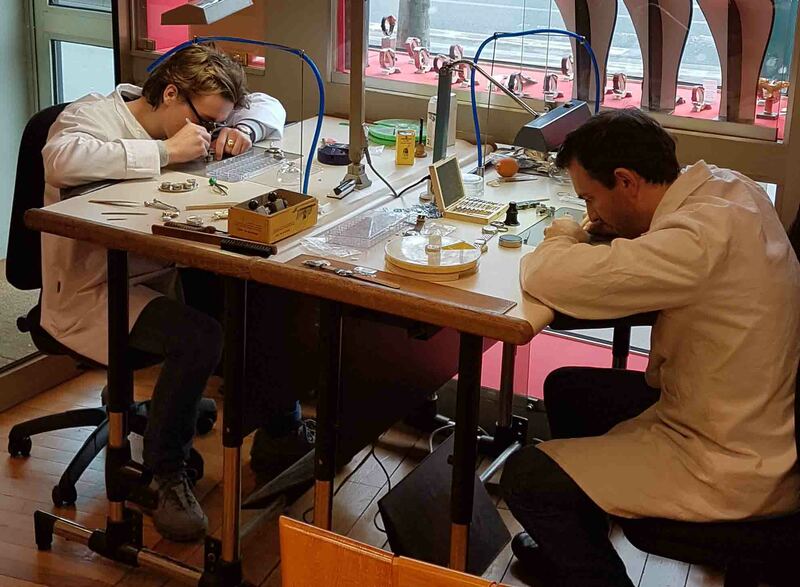 Can you be a watchmaker ? Come to Duc Oger Entertainment. One day of training to disassemble and assemble the mechanical movement. Discover the measurement gestures of the watchmaker. It consists of two or three groups from 9:30 to 12:30 and from 13:30 to 16:30. Accept the theoretical watchmaking class, disassemble the movement, re-sport and adjust it. Don’t hesitate to contact us, we will contact you as soon as possible.